1. We have convened in Ä°stanbul on 2 November 2011, under the leadership of H. E. Mr. Hamid Karzai, President of the Islamic Republic of Afghanistan, and H. E. Mr. Abdullah GÃ¼l, President of the Republic of Turkey, and at the joint invitation of H. E. Mr. Zalmai Rassoul, Foreign Minister of the Islamic Republic of Afghanistan and H. E. Mr. Ahmet DavutoÄŸlu, Foreign Minister of the Republic of Turkey, to reaffirm our strong commitment to a secure, stable and prosperous Afghanistan in a secure and stable region. 3. Afghanistan and its international and regional partners will seek to develop and coordinate contributions to advance the above-stated principles. 4. We recognize Afghanistanâ€™s role as the land bridge in the â€˜Heart of Asiaâ€™, connecting South Asia, Central Asia, Eurasia and the Middle East, and reaffirm our support in the strongest possible terms to the secure, stable and peaceful future of Afghanistan. We welcome Afghanistanâ€™s willingness and determination to use its regional and historical position to do its part to promote security and peaceful economic cooperation in the region. 5. We respect Afghanistan as a sovereign, independent, democratic state, which constitutes an integral component of the peace, well-being and prosperity of the region and beyond. We support the Government of Afghanistanâ€™s priorities on the issues of security, governance, economy, counter-terrorism, counter-narcotics and regional cooperation. 6. We re-emphasize our determination to help Afghanistan fight terrorism and illicit drugs. In return, Afghanistan re-iterates its commitment to respect the territorial integrity of its neighbours, and to assure them that its relations with any state, on which it will be transparent, will not be directed against any third party. 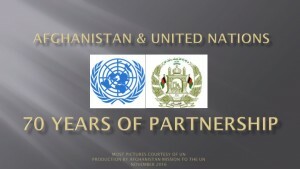 Afghanistan also reconfirms its will and determination to combat terrorism in all its forms and manifestations, strengthen its economy, especially by ensuring good governance, promotion of investments, and addressing corruption, fight radicalism and narcotrafficking, respect human rights, in particular the rights of women, and to work together with its friends and partners for enhanced regional co-operation. 7. We reiterate our resolve to combat terrorism, extremism and separatism in all its forms and manifestations, the financing, harbouring, training and equipping of such activities, and acknowledge that terrorism, extremism and separatism pose a common challenge that can only be addressed through concerted efforts by countries of the region and the broader international community. 8. We will strengthen cooperation with Afghanistan, as well as regional and international cooperation, to counter the threat posed by the illicit production, trafficking, and consumption of drugs, in accordance with the principle of common and shared responsibility. Cooperation in combating the illicit drug production, trafficking and consumption should be exercised in a comprehensive manner and comprise poppy and cannabis crops eradication, elimination of drug laboratories, interception of drug caravans, detention of drug traffickers, freezing proceeds from illicit drugs, diversion of drug precursors, as well as introduction of alternative agriculture projects and strengthening measures directed at reduction of the level of drugs consumption in regional and international markets. 9. In assisting Afghanistan, we endorse its efforts at promoting an inclusive reconciliation process and welcome and support the efforts of the High Peace Council, and the implementation of the Afghan Peace and Reintegration Program. We strongly condemn the heinous terrorist attack which took the life of the former President and Head of the High Peace Council, Professor Burhanuddin Rabbani. We will continue to support Afghan-led efforts to reconcile and re-integrate those Afghan militant elements who renounce violence, cut links with terrorist groups, and accept the Afghan Constitution. We remain convinced that a peaceful Afghanistan, with functioning institutions and strengthened security forces, is key to a successful regional cooperation. We remind that the international community and the region are not separated and emphasize that we all have a stake in the security and stability of the region. 10. We mark our full support to the ongoing process of transition of responsibility for providing security in Afghanistan from ISAF/NATO to ANSF in the framework of the â€˜Kabul Processâ€™. We remain convinced that progress to be made between now and 2014, when transition will be completed, will make a decisive impact on the future course of efforts underway in Afghanistan. However, transition should assist Afghanistan and development of its relevant structures with a sustained support in the form of long term commitments to be made by regional and international partners. We welcome ongoing efforts by the Government of Afghanistan and its regional partners to foster trust and cooperation with each other as well as relevant cooperation initiatives developed by the countries concerned and regional organizations. The promotion of a sound regional cooperation in the â€˜Heart of Asiaâ€™ will be an important contribution to these efforts. In this context, enhanced trade connectivity along historical trade routes will also constitute an added value and will require conducive regional environment. 11. We recognise that Afghanistan is today at a critical juncture. It still faces significant security, economic, and development challenges, which are of an interconnected nature. These challenges cannot be addressed without building upon the already constructive support of Afghanistanâ€™s regional and international partners. The efforts to meet these challenges are most effective when they are Afghan-owned and driven, and supported by all partners and pursued in a transparent and constructive manner. 12. While not all challenges specifically affect each country in similar degree, no single state or international organization can deal with these challenges by itself. A concerted effort towards stability and prosperity is needed. Consequently, regional and international cooperation are indispensable to address challenges. 13. We declare our readiness to engage in sincere, result-oriented cooperation at all levels, which will not just help Afghanistan, but will also be beneficial to security and prosperity in the region as a whole. We welcome the central and impartial role of the United Nations, in line with the Security Council mandate, and we recognize the important role of the Organization for Islamic Cooperation, the Shanghai Cooperation Organization, the South Asian Association for Regional Cooperation, the Regional Economic Cooperation Conference on Afghanistan, the Conference on Interaction and Confidence Building Measures in Asia, the Economic Cooperation Organization, the Eurasian Economic Union, the Collective Security Treaty Organisation, the United Nations Special Programme for the Economies of Central Asia, and the Central Asia Regional Economic Cooperation in strengthening regional security and promoting regional cooperation. We welcome the participation of Afghanistan in the South Asian Association for Regional Cooperation and in the Conference on Interaction and Confidence Building Measures in Asia, the Organization for Security and Cooperation in Europe, as well as its application to obtain the status of observer state with the Shanghai Cooperation Organization. 14. Similarly, we also positively take note of those bilateral, trilateral and quadrilateral initiatives between Afghanistan and the regional countries that could contribute to the improvement of regional cooperation. We welcome and support all these mechanisms, organisations and processes that add value to regional dimension. We also welcome various efforts aimed at intensifying cooperation and dialogue between Afghanistan and regional countries, recognising the intertwined nature of various challenges faced by all countries in the region. Our regional cooperation vision is not intended to substitute them, but to build synergy between these efforts. 15. These fundamental frameworks and principles of cooperation among countries are unequivocally pertinent in dealing with challenges. We note the value of a more coherent and structured approach to individual initiatives. We pledge to give strong emphasis and further impetus to the ongoing regional cooperation endeavours. 16. With this understanding, based on the principles, including guarantees of territorial integrity, sovereignty and refraining from the threat or use of force to resolve disputes; guarantees for non-intervention in the internal affairs of other States; and peaceful settlement of disputes according to international law, stated in this document, we will endeavour to build confidence through broad ranging and effective Confidence Building Measures (CBMs), where appropriate and based on self-differentation basis, which may include, but not be limited to, the areas listed hereafter. – Co-operation and interaction among regional countries in the area of counter narcotics and the trafficking of illegal goods and lethal substance, and their precursors, including enhancing bilateral efforts to prevent illicit movement of personnel and material across international borders. – Wider support for Tajikistan`s efforts to conduct the 5th Regional Economic Cooperation Conference on Afghanistan (RECCA V) which is planned to be held on March 26-27, 2012 in Dushanbe. Amongst other agenda items, the Conference will consider the proposal from Afghanistan and Tajikistan on enhancing trade connectivity along historical trade routes. On the margins of the RECCA V, we support the organization of a business forum and a forum of scientists and researchers. – The development of infrastructure around the main ports and linking them via road and railroad for shipment of goods and energy to and from Central Asia, South Asia, Eurasia and the Black Sea. – Reform the curricula that promote extremism. – Establishing a multi-disciplinary professional and technical training Center in Tajikistan which is aimed at preparing civilian specialists for the needs of the Afghanistan economy, with support of international community. – Promotion of inter-faith and intra-cultural dialogue. 17. Through the Ä°stanbul Process, we reaffirm our commitment to strengthening regional security and cooperation, including for the purpose of building a secure and stable Afghanistan. To that end, we have decided to redouble and better coordinate our efforts through bilateral channels and existing multilateral frameworks and future meetings at Ministerial and technical level. The Istanbul Process will be developed and marked by consensus decision making of participating states. 18. In this regard, we will continue to exchange views on ways and means to implement our decisions. 19. As the first follow-up on the Ä°stanbul Conference, we have decided to meet again at Ministerial level in Kabul in June 2012. 20. The Kabul Ministerial meeting will be preceded by a preparatory meeting at technical level chaired by Afghanistan. 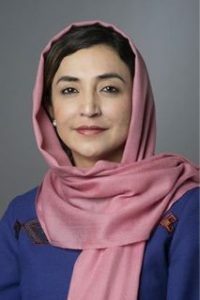 To that effect, Afghanistan will circulate a concept paper by the end of January 2012, outlining the agenda of the meeting. 21. Having stated the above, we recognise that the challenge we intend to meet remains considerable. But, through these confidence building measures, we are aiming at a new mindset of cooperation in the region. 22. The ambitious objective of enhanced regional cooperation, with and around Afghanistan, will need to overcome many hurdles. However, the benefits for Afghanistan and its region will reward this ambition and be worth the endeavours. 23. The participants to the Ä°stanbul Conference wish to express their gratitude to the Republic of Turkey for the generous hospitality and commitment to promoting regional cooperation. Adopted on 2 November 2011 by the â€˜Heart of Asiaâ€™ Countries which consist of the Islamic Republic of Afghanistan, the Peopleâ€™s Republic of China, the Republic of India, the Islamic Republic of Iran, the Republic of Kazakhstan, the Kyrgyz Republic, the Islamic Republic of Pakistan, the Russian Federation, the Kingdom of Saudi Arabia the Republic of Tajikistan, the Republic of Turkey, Turkmenistan, and the United Arab Emirates. Welcomed and supported by the Commonwealth of Australia, Canada, the Arab Republic of Egypt, the Republic of France, the Federal Republic of Germany, Republic of Italy, Japan, Norway, Republic of Poland, Spain, Sweden, the United Kingdom and the United States as well as the United Nations, Economic Cooperation Organization, Organization for Security and Cooperation in Europe, North Atlantic Treaty Organization, Shanghai Cooperation Organization, South Asian Association for Regional Cooperation, Organization for Islamic Cooperation, the European Union, the Conference on Interaction and Confidence Building Measures in Asia.